Federal and state officials in Maine said Wednesday they had shut down an elaborate scheme to deceptively market dietary supplements in which a company disguised 30-minute radio advertisements as a talk radio show and repeatedly promoted fake print newspapers ads. In fact, according to officials, the promotions for the two products featured fictitious consumers and purported medical experts who endorsed the supplements without actually having endorsed them. One supplement, CogniPrin, was touted as having been clinically proven to improve memory and possibly reverse mental decline. 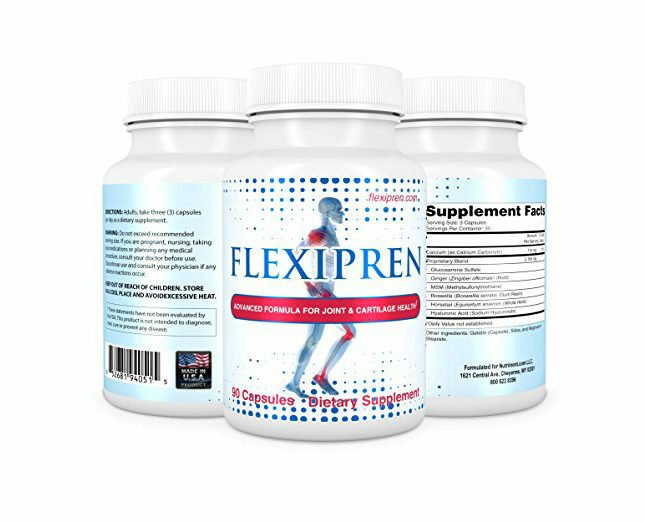 The other, FlexiPrin, was touted for its ability to reduce back and joint pain in as little as two hours. A complaint from the Federal Trade Commission and the Maine attorney general alleges that the supplements, from a company called Better Health Nutritionals, raked in at least $6.5 million in gross sales between 2012 and 2015. As part of a court settlement, the company must cease all sales of the products at issue. The complaint says the marketers named in the complaint neither admit nor deny wrongdoing. An owner of the firm behind the supplements, Jeffrey R. Powlowsky, did not immediately return a call for comment. Under the Dietary Supplement Health and Education Act of 1994, the Food and Drug Administration is barred from reviewing dietary supplements for safety before they hit the market. The agency can intervene only when supplements are flagged as possibly dangerous. The FTC, meanwhile, has the authority to step in when manufacturers make unsubstantiated claims about their products. Federal rules bar dietary supplement manufacturers from claiming their products can diagnose, cure, treat, or prevent a disease. They can, however, play with language — like that a product “boosts” or “promotes” health — to suggest those same benefits. In the case of FlexiPrin and CogniPrin, two “experts,” Ronald Jahner and Brazos Minshew, were tasked with backing up CogniPrin and FlexiPrin with their medical expertise. But, the complaint alleges, neither examined the supplements before endorsing them. “[FlexiPrin] targets the tissue and it’s an amazing anti-inflammatory. But the best part is [that] it works fast. Within two hours, people are getting relief,” Jahner claimed in the radio advertisement. Nowhere in the advertisement did the manufacturers disclose that Jahner — a naturopath offered as an objective medical voice — was receiving a share of the revenue from the supplement sales. Minshew was introduced under the pseudonym as Samuel Brant, a “brain scientist” and “past director of the Neurological Treatment Center for Tiena Health,” according to the complaint. It’s unclear whether any such center exists. And, the FTC alleges, Minshew doesn’t have a background in neurology or the brain. The manufacturers also promised potential customers they could try the supplements risk-free for 90 days, no strings attached. But there were significant hurdles to getting a refund, such as having to shell out for hefty shipping fees and return used supplement containers. Those practices all add up to violations of several federal and state laws. A court ordered that the defendants stop engaging in sneaky marketing practices, and also told the company to rein in its unsubstantiated health claims — any benefits they want to promote will need to be backed up by actual scientific evidence, the FTC warned. The settlement came with a whopping $6.6 million judgment, though the defendants were ordered only to pay $556,000 because of their financial situation. The settlement involved six of the nine defendants named in the case. There is still ongoing litigation against other parties involved in the supplement marketing.